Is Macri’s Moment Already Fading in Argentina? 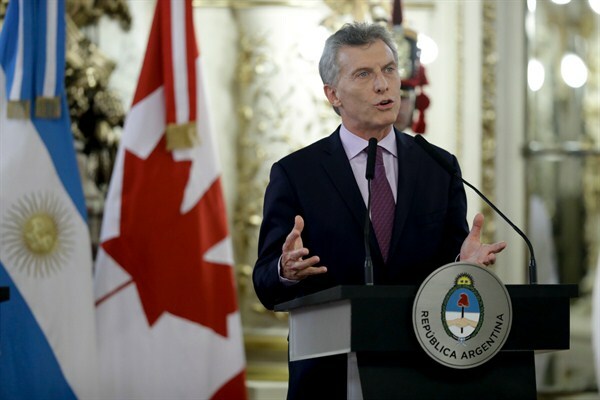 Argentine President Mauricio Macri during a press conference with Canadian Prime Minister Justin Trudeau, Buenos Aires, Nov. 17, 2016 (AP photo by Natacha Pisarenko). Mauricio Macri assumed the presidency of Argentina a little over a year ago, on Dec. 10, 2015, intent on correcting years of mistakes by his predecessors and eager to cement his place as a leader of significance. While he has largely succeeded in the first goal, the second remains stubbornly out of reach, and efforts to build an enduring legacy will only grow more complicated in the years to come.